Canyoneers Grand Canyon River Trips: Arizona Highways Travel Show - Check Out our Grand Canyon Rafting Getaways! 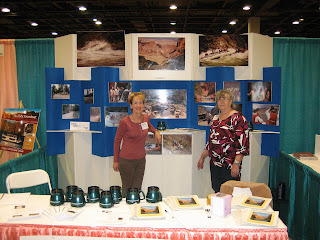 Arizona Highways Travel Show - Check Out our Grand Canyon Rafting Getaways! Canyoneers Inc. River Rafting Company wants to thank everyone who stopped by our booth at the Arizona Highways Travel show on May 30 & 31. This was a very successful show with great exhibitors from across the State of Arizona. 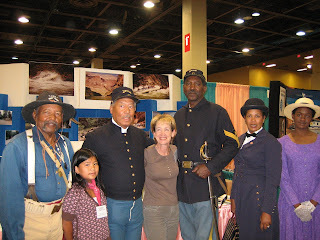 A broad spectrum of folks attended the show, and there was a lot of interest in Grand Canyon river rafting trips. Attendees signed up to win a free Grand Canyon river rafting trip from Canyoneers, Inc for a 7 day, 6 night full canyon, motorized adventure. The winner will be announced soon. By the way--the show management and convention center staff was top notch. Thanks to all of you for your professionalism and help.